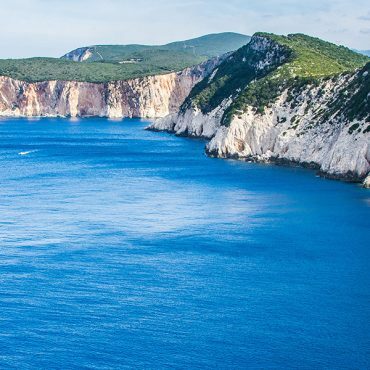 Ithaca is located on the west part of Greece and it is surrounded from the Ionian Sea. Which is really close to Italy and the Adriatic Sea. As Homer says on his poem, Odysseus used to live on the island with his wife Penelope and his son Tilemachos. In White Sails we believe that the best way to explore an island while onboard is by following our travel guide! 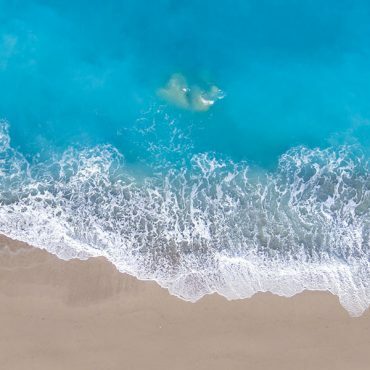 A full informative guide with the latest news and trends regarding restaurants, beaches and of course the best bays to anchor your catamaran! The capital of Ithaca is the town of Vathy, located on the southern part of the island. There you will find charming alleys and red tiled roof houses. The Monastery Of Panagia Kathariotissa is located on the way to Anogi and is the patron saint of the island. It is believed that the icon of Virgin Mary is miraculous. Frikes Village is a small picturesque fishermen village with little white houses , taverns , cafes and the traditional windmills that stand on top of the village! Visit the place where the loggerhead turtles lay their eggs. Voukenti beach is a small pebbled beach ideal for anchoring. Crystal clear waters and Olive, Carob trees and Cypresses create a unique water color! 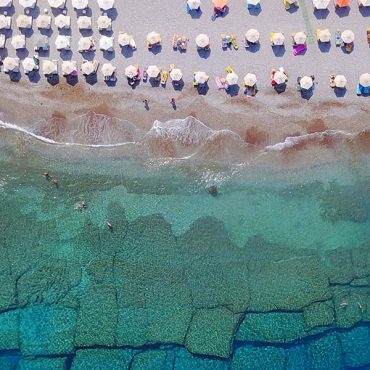 Polis is a relaxing beach close to Stavros, on the northern side of Ithaca. Frikes is an adorable beach on the northern side of the island. It is actually a really small bay that gets pretty popular during the summer time. Located on the top of the island you can find the Marmaca beach which is far away beach and is great to enjoy some isolation. The bay of Frikes lies on the north-eastern coast of the island, has an irregular shape and deep waters and is open to east and north-eastern winds. Several coves which very good anchorages are are formed on the coast of the bay. Kioni port is a small harbour with a pier at the edge of which is there is a steady green light at night. Because of the great depths you will need to drop the anchor deep enough, about 10-20m and boats may need a second anchor. The port of Vathy is a natural harbor and provides excellent anchorage. It is protected by all winds except the north-west. The bay of Aetos provides to you a safe shelter for your yacht. White pebbles and magical water describes this beach. It has great depths and faces north-east. In the middle of the north-eastern shoreline is Skartsoumponisi islet, in the north edge of which there is a lighthouse. It is the only danger for navigation during the night, with limited visibility. 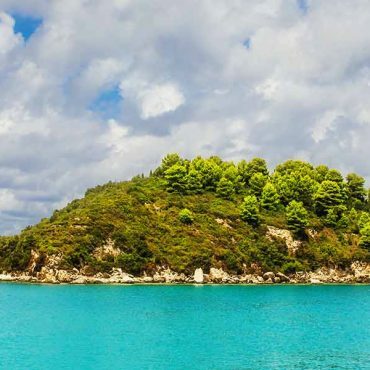 Minimata is a small beach surrounded by big pine trees that make a beautiful forest. The bay provides a safe marine for your boat! 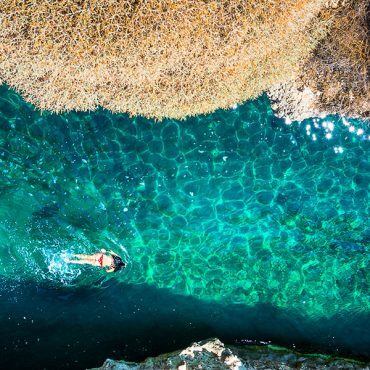 Sarakiniko is one of the most beautiful beaches of Ithaca. It is near to Vathy. Filiatro is a calm bay with white pebbles and crystal water. It is surrounded with Mediterranean greenery. 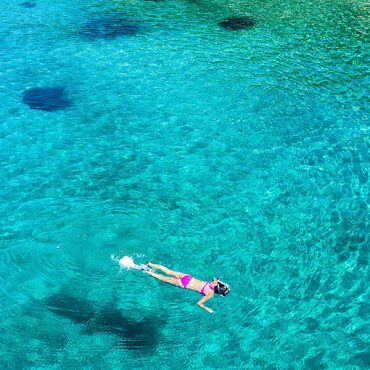 Agios Ioannis is an astonishing little beach that it is one of the most naturally beautiful beaches of Ithaca, with golden sand and water with different shades of blue. Loutsa is a nice beach with magnificent water and it is has got a small distance to Vathy, which is the capital of the island. Dexa beach offers a magic mix of sand and the white pebbles that look like they are made of marble and the classical Mediterranean water. It is located very close to Vathy, the capital of the island. Shallow water makes this beach ideal for families with children! Rachi is a small, tucked away beach close to Kioni, on the northern side of the island. 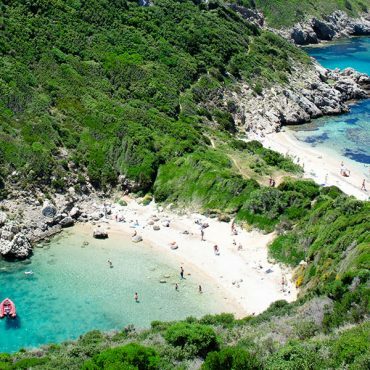 Skinos is a pebbled beach with emerald green water and forests of lush greenery surrounds the beach. Chani 1800 Mediterranean Greek cuisine , in Agios Ioannis , offers excellent service , great quality dishes with fantastic view! Ithaki Mare is a traditional Greek Tavern on the bay side of Vathy. Mylos Crepery & Music Bar: Secret recipe Crepes with savory and sweet fillings and refreshments. Right on the bay with great sea views and eclectic music until late. Batis tavern in Vathi offers delicious seafood dishes. Octopus, and the red mullet are mouth wateringly good. The service is excellent. Sesto Coffee snack bar for breakfast! Ithaca’s traditional pastry to buy trufa, a chocolate sweet! Kalioras in Perachori for traditional food! Dona Lefki restaurant for the best sunrise looking at Fiskardo bay. Visit Kioni for coffee and to buy traditional sweets! Spavento Café Bar is a vivid bar located in the area Kioni of Ithaki. Authentic Greek entertainment right on the beach , local drinks and typical Greek mezedes. Soulatso Café Bar in wonderful Vathy is a cozy place with elegant decorations and serves cool drinks and cocktails. Exedra Café Bar is one of the oldest spots in town , located next to the sea in Vathy , serves typical Greek drinks like ouzo , tsipouro and wine accompanied with delicious Greek mezedes! Libro D’Oro with his fantastic owner Gerry who will make you feel like home! Nice dynamic music and perfect drinks create an unforgettable night!